The NAPDRT and ASA Aluminum Study… The Final Report! 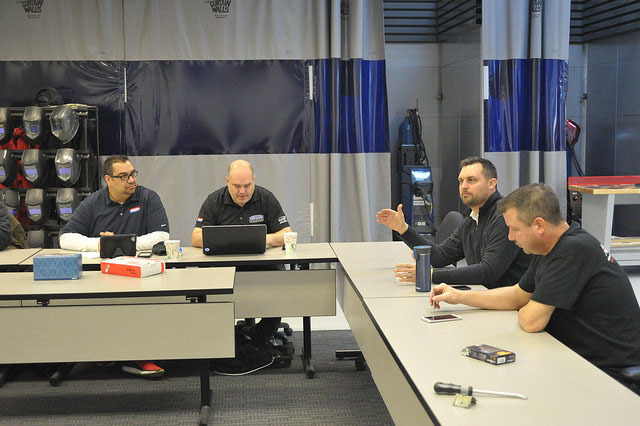 The National Alliance of Paintless Dent Repair Technicians (NAPDRT) approached the Automotive Service Association (ASA) in December, 2015 with a request for any information ASA had on the difference between steel and aluminum panels pursuant to Paintless Dent Repair. 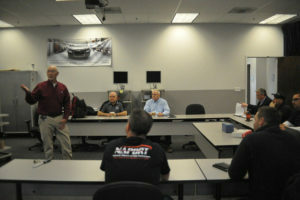 The NAPDRT reported that some of their members were encountering apparent confusion among some collision damage estimators as to the difference in the PDR process when repairing steel vs aluminum panels, and were seeking any available independent studies to confirm the field experience reported by their members on the differences in the repair process specifically when dealing with aluminum. Since no such data existed in the ASA Resource Center records, a study was initiated as a cooperative effort between NAPDRT and ASA to document the PDR repair process when dealing with aluminum panels. The study was conducted under controlled conditions at a training center. 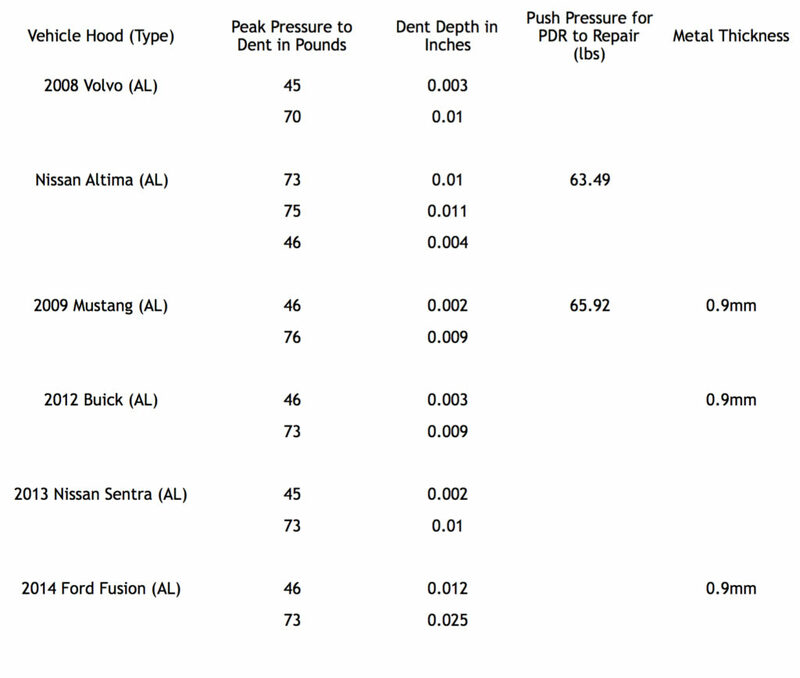 Examples of both steel and aluminum hoods were subjected to simulated hail damage using a force gauge to create consistent damage at various pressures, then the force necessary to remove the damage was measured and compared. 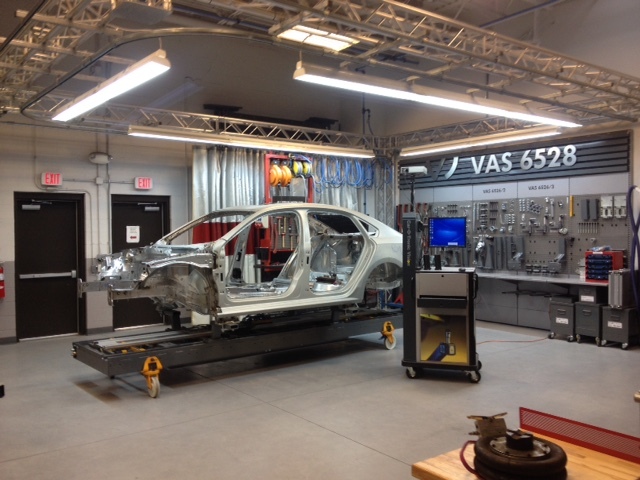 The study was limited to PDR as applied to this simulated hail damage and does not represent a general assessment of aluminum repair or PDR processes beyond vertical impact damage. Forces applied were measured and recorded as data points and compiled in the included spreadsheet for comparison. 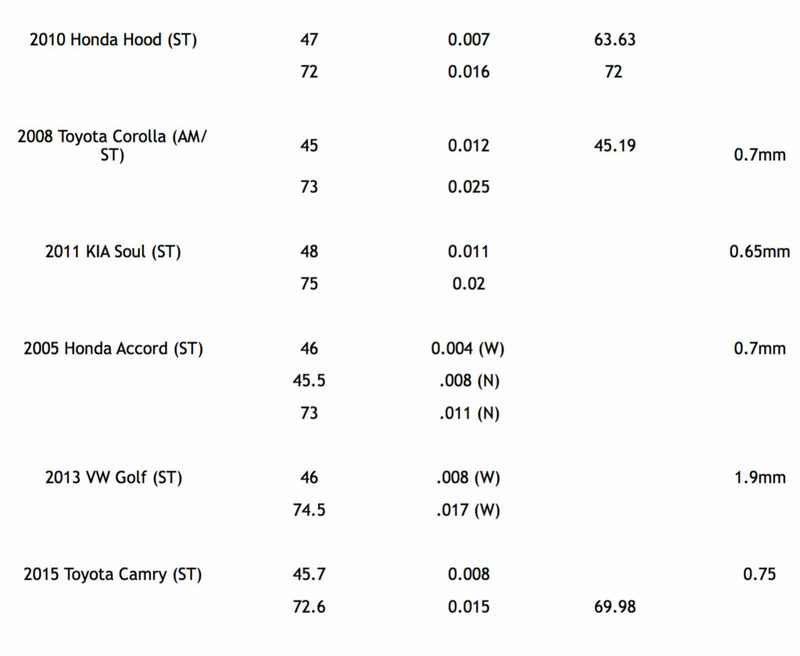 NOTE: This study was a sampling of randomly-selected hoods and is not meant to be projectable across all makes and models; rather it is a representative sampling snapshot which may indicate more in-depth studies are necessary to develop a more comprehensive database from which to draw more general conclusions. 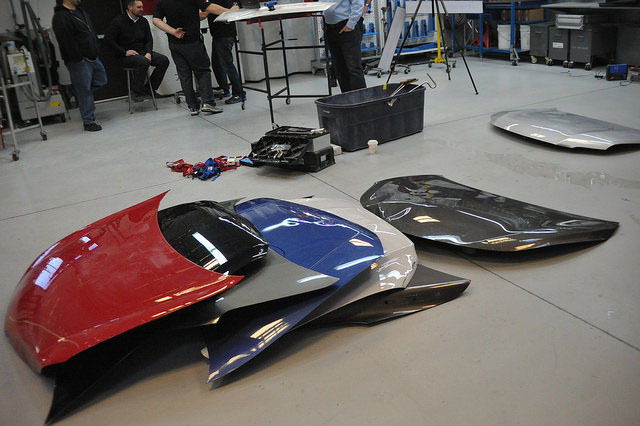 Samples of steel and aluminum hoods from both import and domestic vehicle models were acquired for the study. Working under controlled conditions at an OEM training center, both types of hoods were set up on horizontal fixtures simulating the typical attitude of the panels in service. Using a force gauge, pressure was applied to indent the panels at various levels of force to simulate hail damage, creating uniform damage areas which were measured and recorded. PDR methods were then applied and the resulting force and process necessary to remove the dents were also measured and recorded. The results were compiled in an Excel spreadsheet for analysis. It was noted in a briefing prior to the actual work that many factors can affect the process necessary to reverse hail damage on aluminum panels due to the wide range of aluminum types used by the various manufacturers and the differences in thickness of the aluminum used in production. Where available, the metal thickness on both types of panels was added to the spreadsheet. The average damage depth at 45 lbs pressure on the aluminum hoods was .0033 in. The average damage depth at 45 lbs pressure on the steel hoods was .0083 in. The average damage depth at 75 lbs pressure on the aluminum hoods was .010 in. The average damage depth at 75 lbs on the steel hoods was .017 in. In applying PDR repair procedures, the NAPDRT technicians in the study estimated that it took between 70-150% more pressure to repair the damage in aluminum vs steel hoods. The wide range of the estimate reflects the difference in extent of damage, along with the inability to know precisely what type of aluminum is used by the OEM. Practical experience also shows that steel is easier to push than aluminum using PDR. 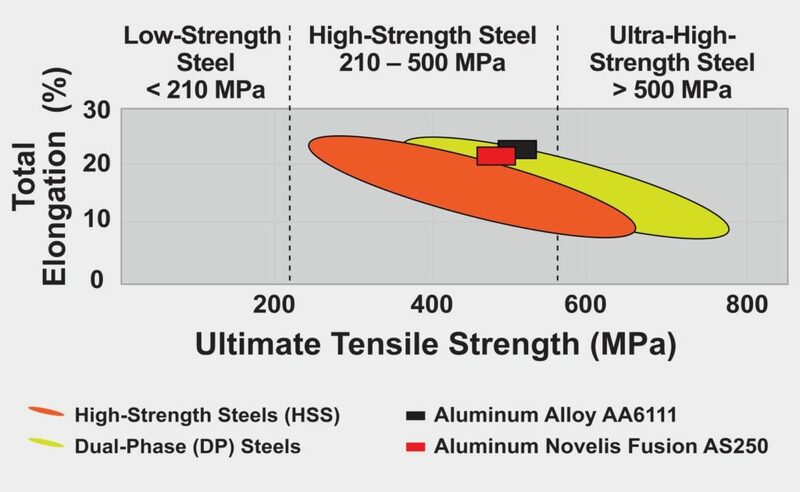 Just as aluminum is more resistant to damage, the metal is more difficult to move using PDR techniques and has different “memory” characteristics. A variety of aluminum and steel hoods were used from both import and domestic manufacturers. Doug Richman of Kaiser Aluminum cautioned that not all of the aluminums used by different automakers are the same, and they will act differently during repairs. “The bad news is there’s no way folks in your business can tell which version of aluminum you’re looking at,” he said. “There’s no visual distinguishing characteristics you can [use to] determine what the alloy is and what the temper is. But the variations will have a different impact in how you approach the repair. The solution is: We all need to be sure we’re paying attention to the OEM guidelines for the repair of a specific model. They know for each part what the alloy was, what the temper was and how it needs to be handled.” He said most of the aluminums being used are a “T4” temper, for example, which is lower-strength and thus can be formed into complex shapes in the manufacturing process. But some manufacturers, primarily European automakers of higher-end vehicles, then put vehicles through an age (or bake) cycle that raises the aluminum to a “T6” temper which is at least 50 percent stronger than “T4.” This allows them to maximize weight reductions by using even thinner grades of aluminum than, say, that used on the F-150, while still being strong and damage-resistant. Heat from welding can significantly reduce the tensile strength of aluminum, which is why some automakers require the use of specific welders and why OEM procedures often call for use of a backing plate when joining to restore the full strength of that area of the vehicle. The initial results and observation during confirmed the assumption that it is more difficult to use PDR techniques to reverse hail damage on aluminum panels vs steel. It’s not simply a matter of applying more force to remove the damage, since the differences between the two metals and the various grades of aluminum used by vehicle manufacturers also require an adjustment in the process and methods used to achieve acceptable results. As stated, this was a snapshot and a more comprehensive study is recommended to expand and reconfirm the results from this exercise in order to develop recommendations on a broader scope.